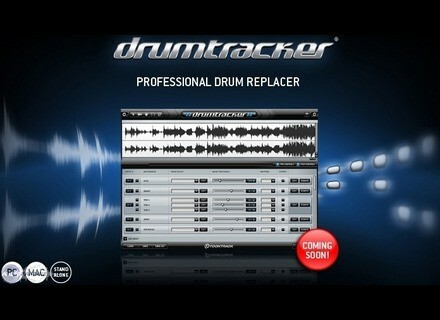 Drumtracker, Other Music Software from Toontrack. Toontrack Music proudly announced that the all-new sound-replacing tool from Toontrack is now shipping. Drumtracker® is a stand-alone, host independent, multi-track audio to MIDI converter. 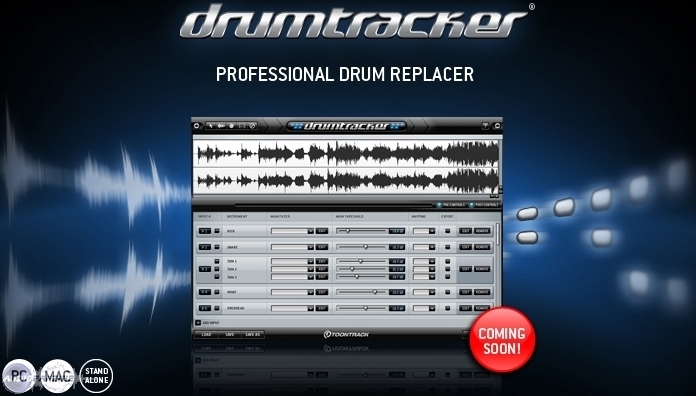 Drumtracker® is specifically designed to convert drum session audio recordings to MIDI files for drum replacement purposes. The built-in filters in Drumtracker® are designed to allow you to detect the most common instruments and specify the velocity threshold for each section of your song. In addition, you may save your own filter presets to gain time when sound replacing. Drumtracker® lets you select which part or parts of a drum audio track to convert, down to each single hit. You can change the velocity, delete, add or move trigger points to your requirements, giving you manual control of tracking and converting audio to MIDI, to supplement automatic detection. McDSP Introduces Retro Pack Plugin McDSP will present the new vintage Retro Pack plug-in line at the 2009 Winter NAMM Show. IK Multimedia Announces ARC Promotion IK Multimedia announced a limited time promotion. From the 1st January until February 28th 2009, ARC System will be available for the price of €379.99 ex VAT, with a crossgrade price of only €299.99 ex VAT. Emedia Releases My Violin EMedia Music Corp. announced the release of My Violin, a program that introduces a new way for kids ages 6 and up (or anyone!) to learn how to play violin and read music.